Rebecca writes, "his sign was in the waiting room area of the hospital where my sister had her baby. 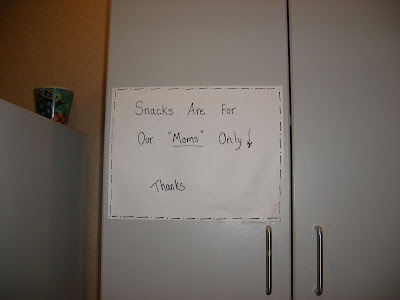 Maybe it means the snacks are actually for the dads?" this one kinda makes sense. If it's in an ante-natal ward, they're implying that it's only for women who have or are about to give birth at the hospital. 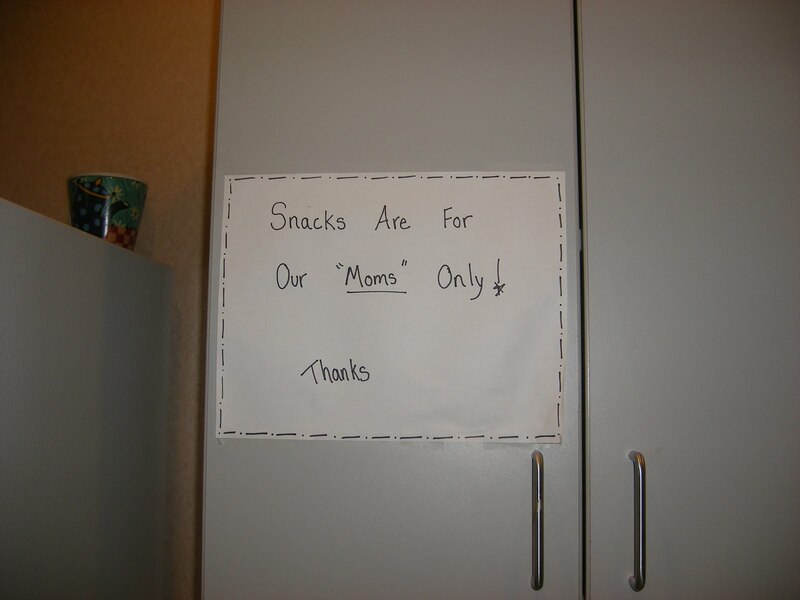 Without the quotation marks, it reads that the snacks are specifically for the mothers of the staff. That being said, there probably are been better ways to "phrase" that.